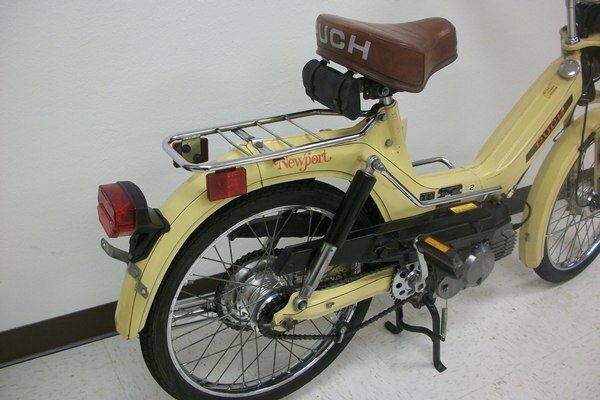 A very clean and recently reconditioned 1977 Puch Newport moped that has been thoroughly gone through and serviced from the front wheel bearings to the rear brakes. The 2 hp engine and carb have been fully rebuilt and it runs perfect. Top speed is over 30 mph! 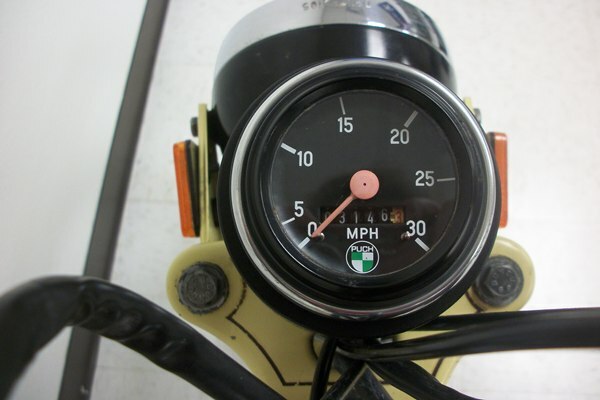 The headlight, brake light, tail light, horn and everything else works just like it did 35 years ago. The seat vinyl has been repaired on this bike so it is not perfect but it is still meets our high quality standards! 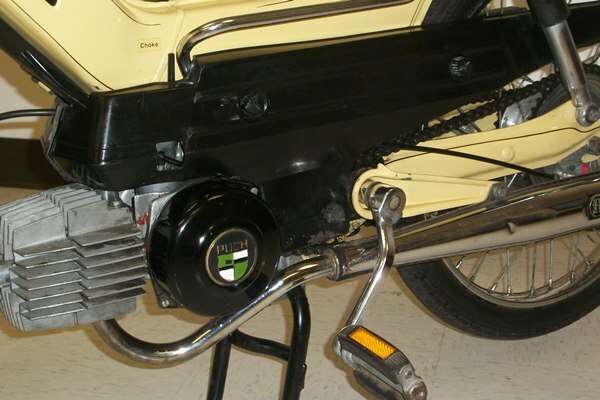 Original Puch tool pouch that hangs behind the seat is included and we will even toss in an extra new spark plug so you have some to carry in it! 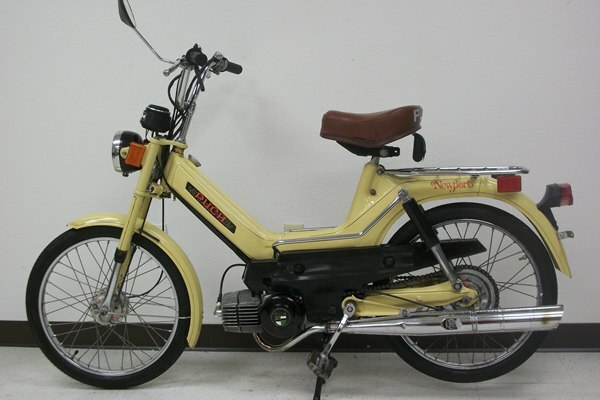 If you are looking for a jump-on-and-go type of vintage pedal moped, then you can stop looking! It’s here waiting for you! 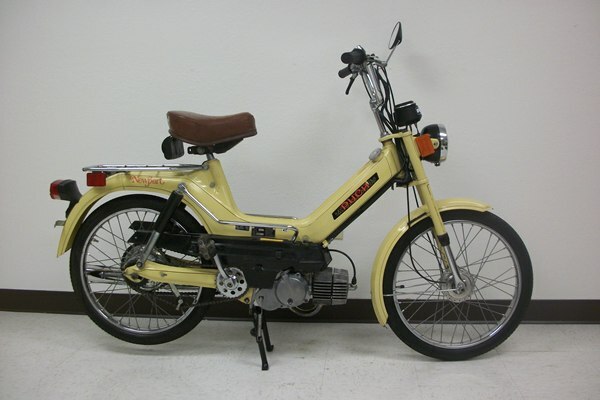 This moped would be great for just about anyone, especially if you are new to classic 2 stroke mopeds due to its over-all lightweight design and simple to operate features. This bike starts very easily and will be reliable enough to take anywhere at anytime. 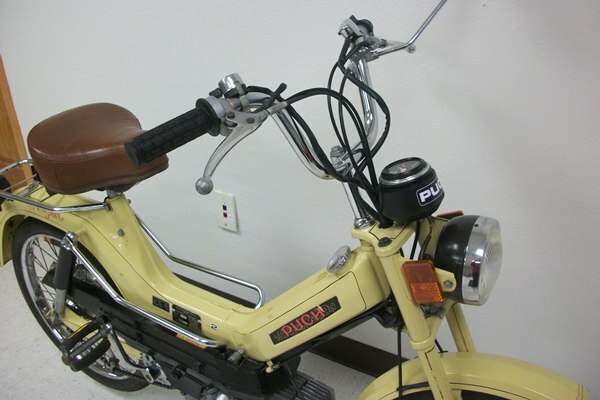 Call us and then come out to test ride this moped and others. Nice long test rides are strongly encouraged!